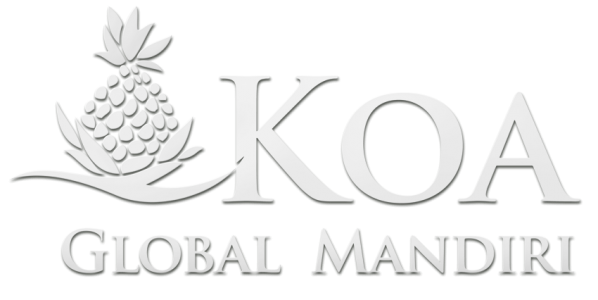 Koa GM offers private consultancy and brokerage services for global entrepreneurs who aim to find profitable property investment opportunities in the United States. To this day, the Koa Group has completed a number of commercial and residential construction projects in the US State of Hawaii. In addition, our experts have provided management and financial planning services for large scale land development programs that not only created jobs and communities, but also helped us create a network of professionals who have the local know-how. As a prime tourism destination with one-of-a-kind natural beauties and top-class resorts, Hawaii has an increasing value for real estate investment. The ideal location of these colorful islands of the United States is enjoyed by people around the world who want to pursue a healthy lifestyle. Our years of experience in the Hawaiian Islands region allow us to lead our guests to successful landed property options for a high-return investment. Consisted of 8 major islands, the State of Hawaii has a total population of around 1.4 million. Hawaii has one of the best climates in the world with warm spring day year-round. The ocean breeze brings fresh air and local flower essences. The Island of Hawaii is the largest of the Hawaiian Islands. Besides being a major sports and tourism center, the island is also a meeting point for Pacific countries. The “Big Island” has been serving as a bridge between Asian and American continents for centuries. There are 2 international airports on the island; Hilo International Airport (ITO) on the east and Kona International Airport (KOA) on the west. • Everything can be manufactured or replaced – except for land. Land is precious and the supply is finite. There’s no “land factory” making new land. • Land is tangible. It has physical presence unlike stocks or other numerical values. You cannot lose money on land. It is a possession that can be enjoyed for generations. • Land in Hawaii is Fee Simple. This is the highest possible ownership in property. Once you purchase the land, you become the sole owner of it. The land is yours – forever! You can pass it on to your children as well. • Land ownership has a huge potential to enhance your investment yields. Prudently chosen and managed properties can allow you to achieve the highest rates of return. • Hawaii has an active and rapidly growing real estate market. Many famous businessmen and enterpreneurs have purchased properties in the State of Hawaii, and especially the Big Island. Charles Schwab (founder of Charles Schwab brokerage and banking company), Michael Dell (founder of Dell computers), Howard Schultz (CEO of Starbucks) all have multi-million dollar estates on the Big Island, Hawaii. According to various economic reports, the Hawaiian State records, and well-recognized real estate databases, such as Zillow, the 2010-2011 fiscal year marked the beginning of a healthy increase in the prices of properties on the Big Island. The Hilo region in particular, has seen a peak during the 2015-2016 year and reports indicate that the constant upwards move of the listing prices of estate will continue during the next six years and maintain a solid, stable high value in the 2020s.